In 2002, Millennium Manufacturing came looking for a new name to represent the corporation into the 21st Century. After name-storming new names, Response created the word Melitron, a derivative from elitron, which is the scientific name for the wing shields on a flying beetle. By morphing the metal prefix to elitron, a unque generic brand evolved. 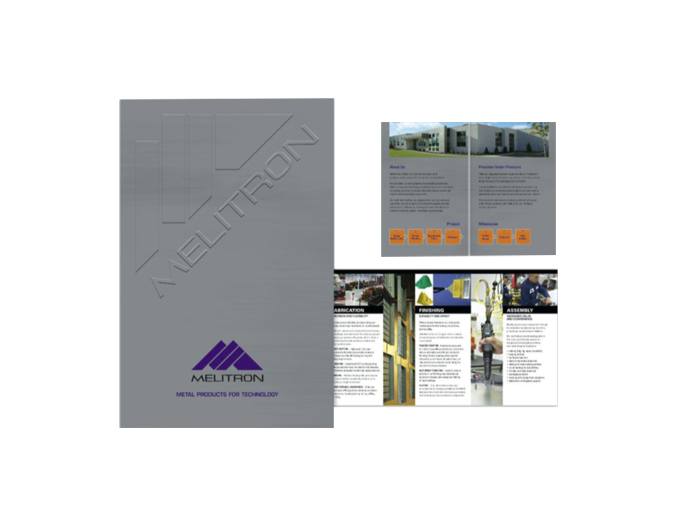 The portfolio featured the core fabrication and finishing businesses from Meliton and captured their march from a single building to multiple co-located plants in Guelph.